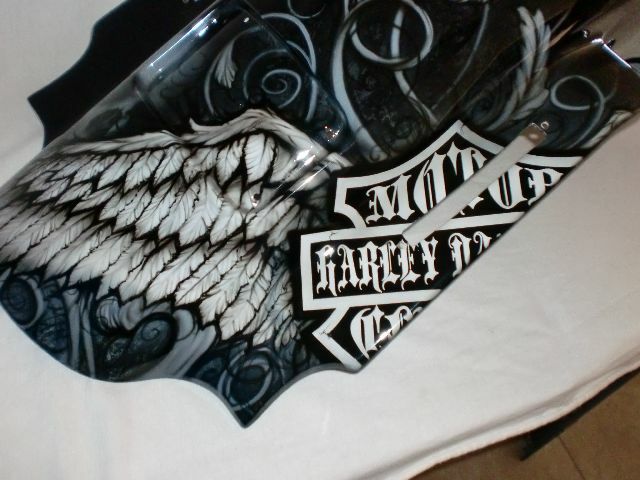 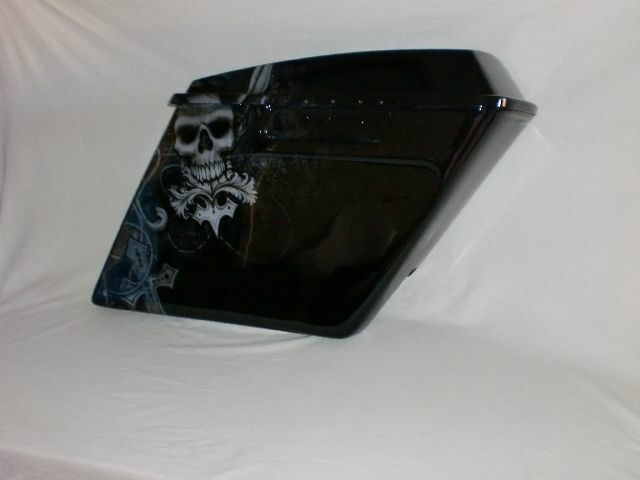 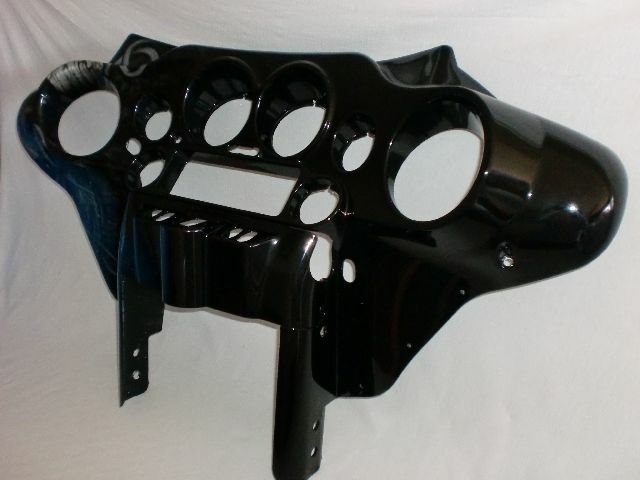 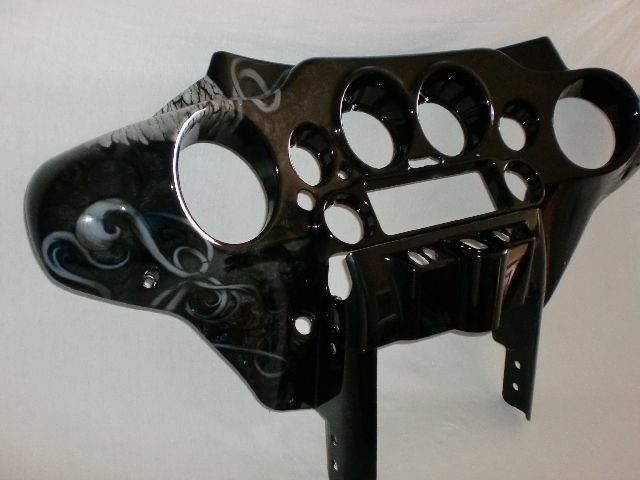 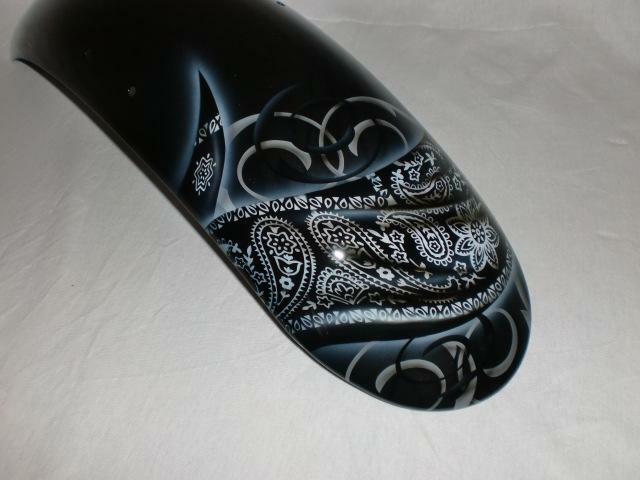 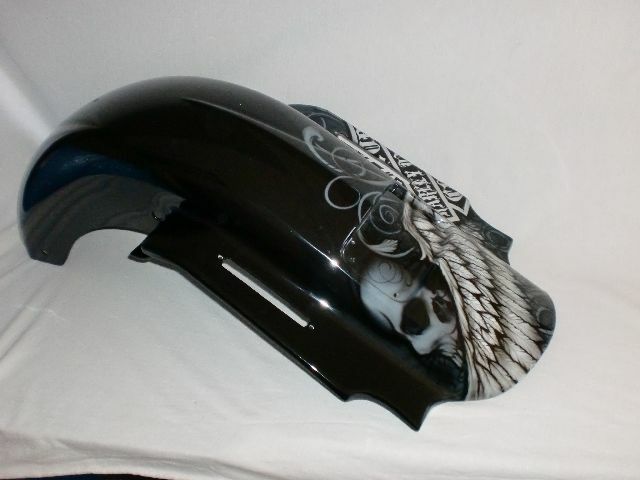 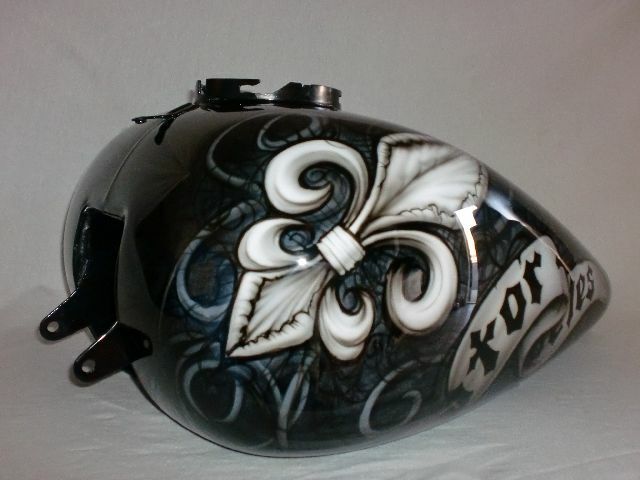 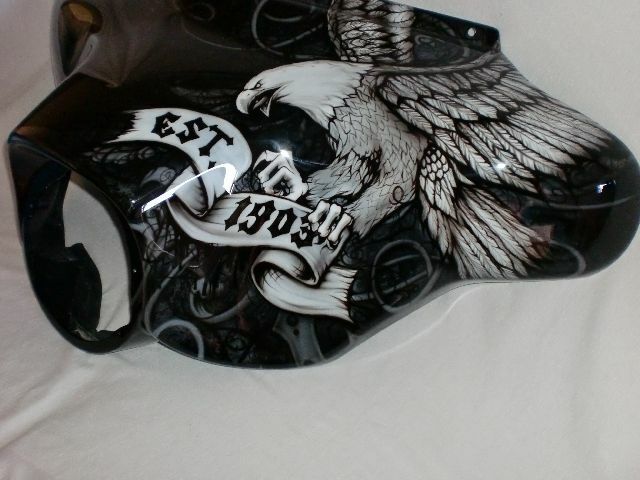 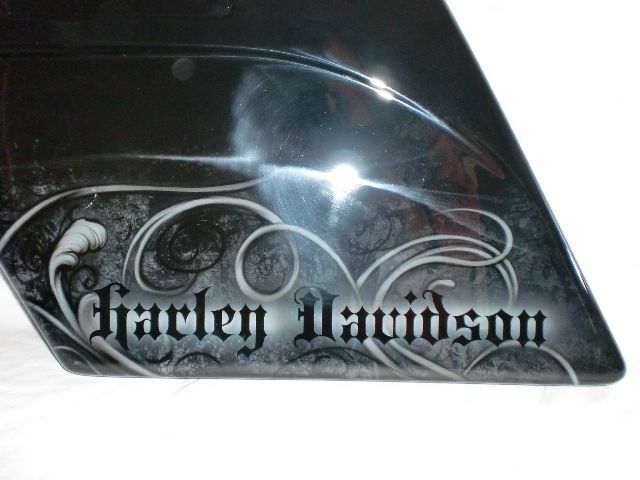 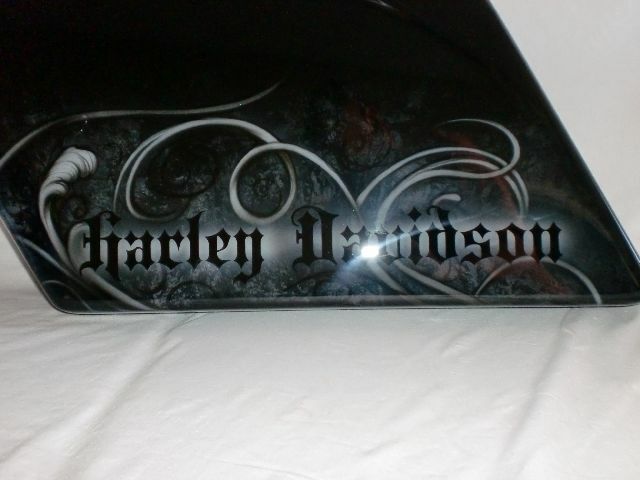 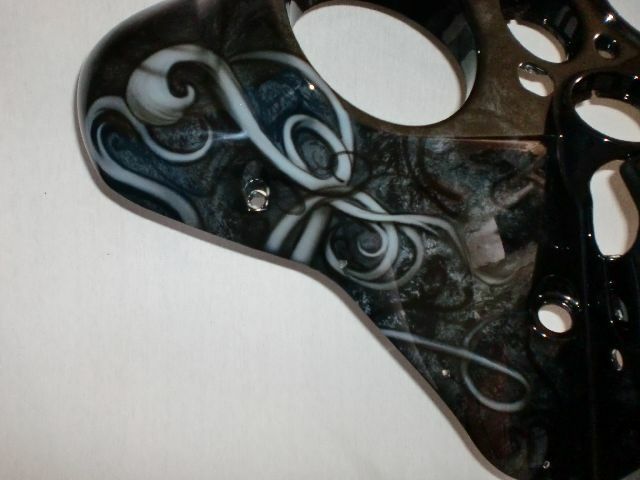 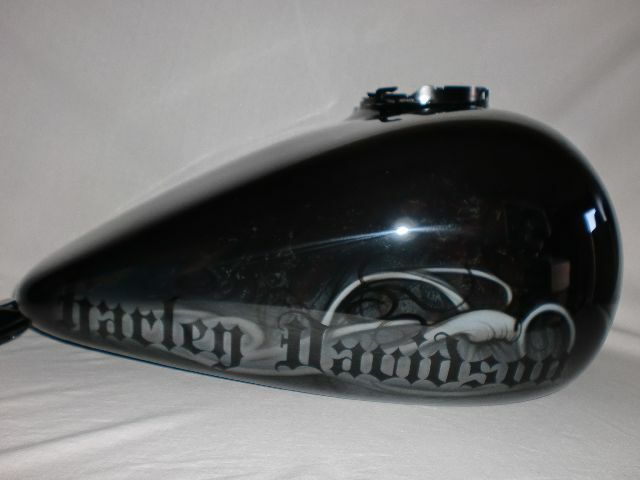 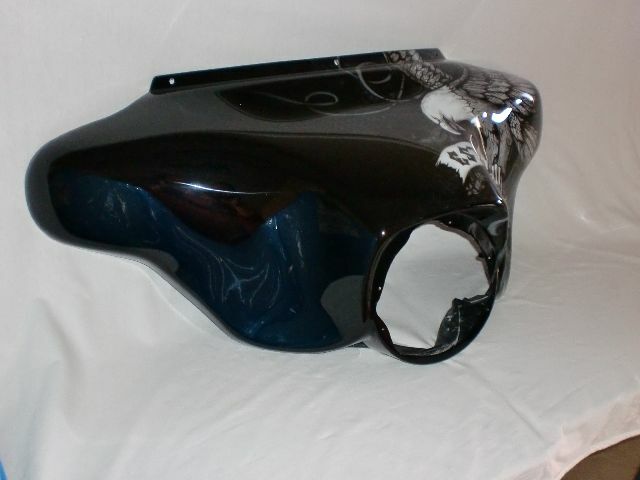 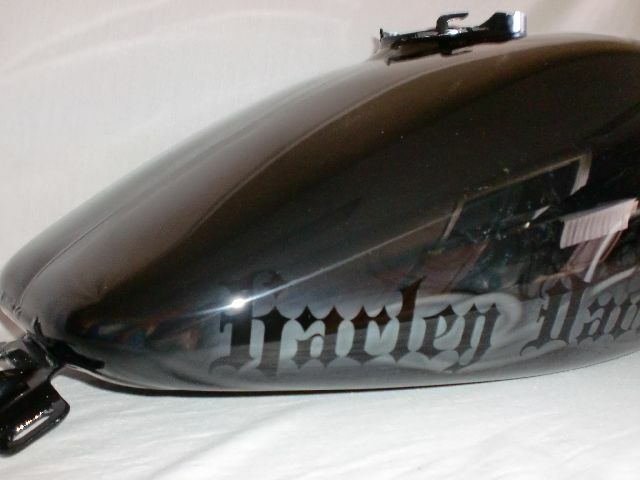 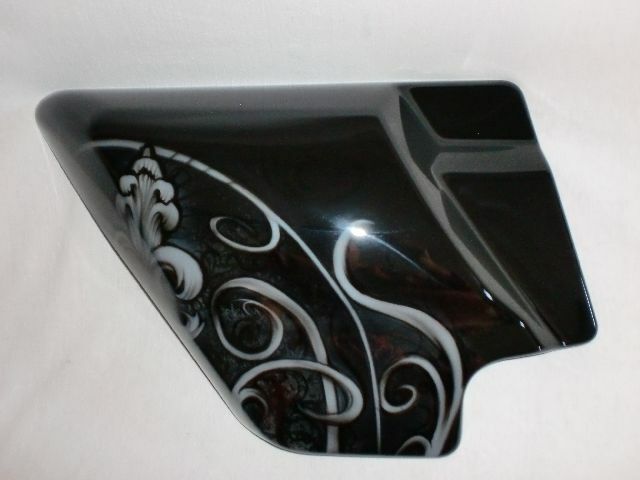 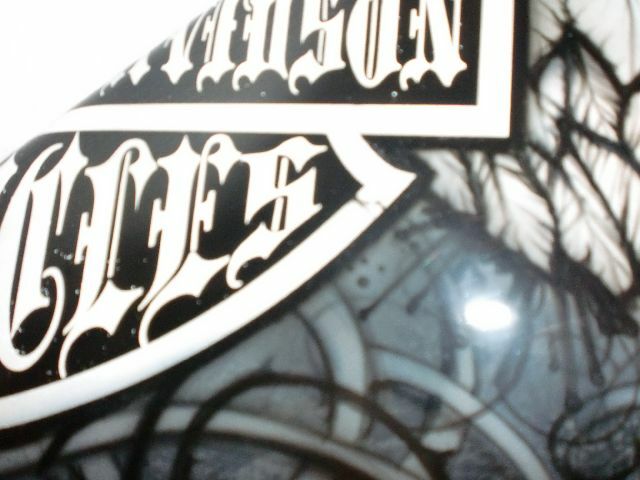 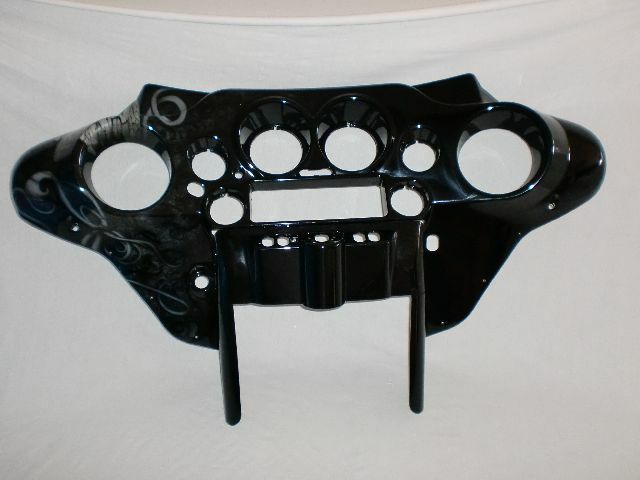 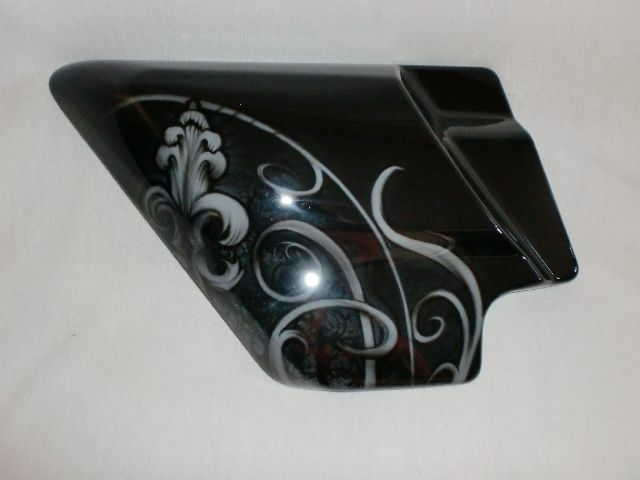 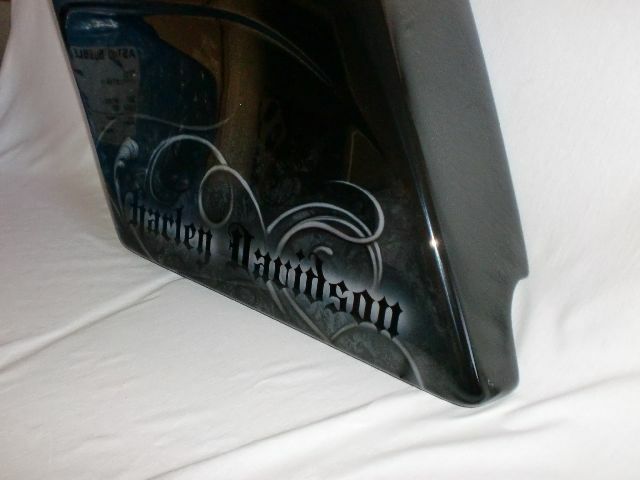 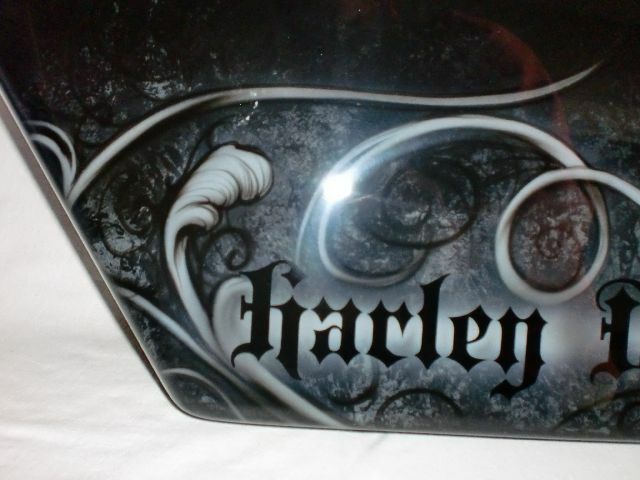 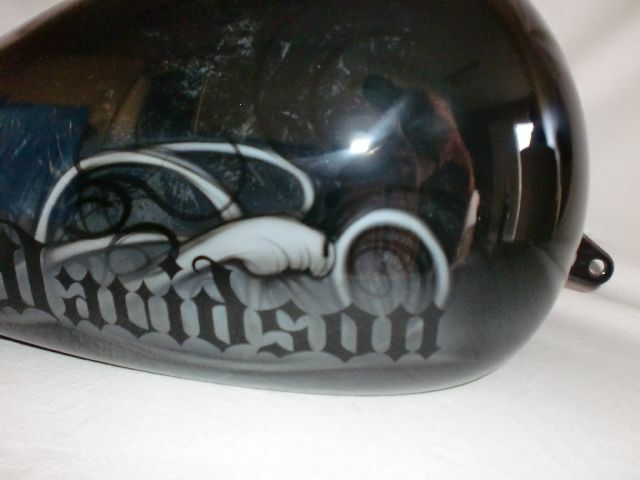 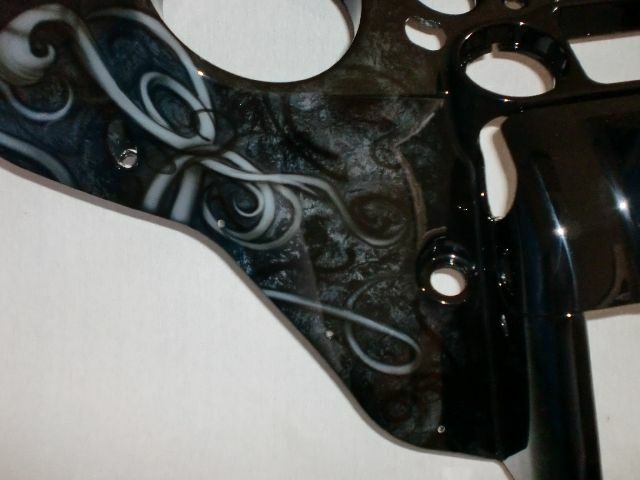 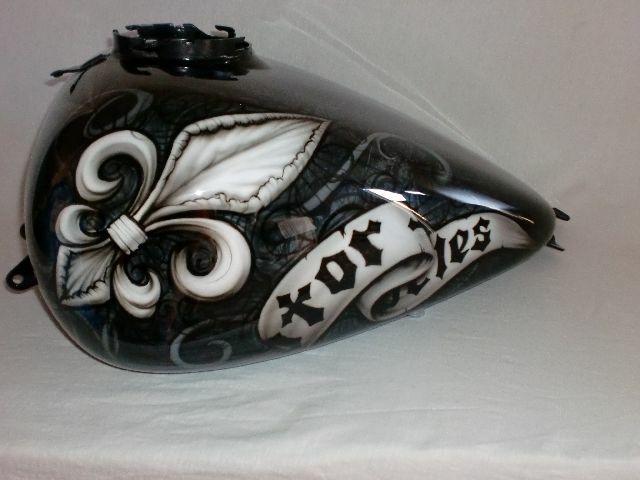 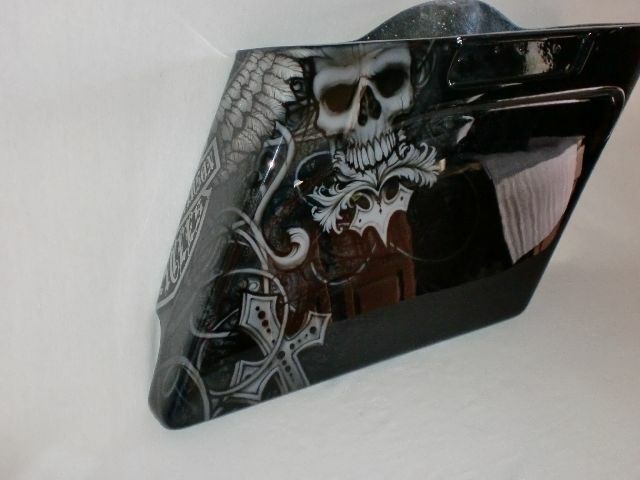 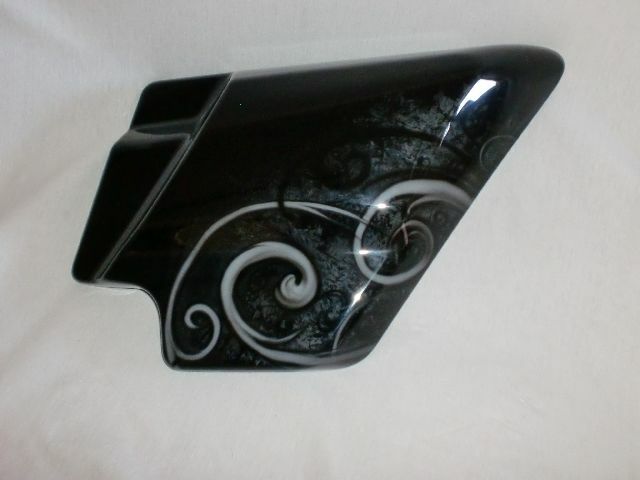 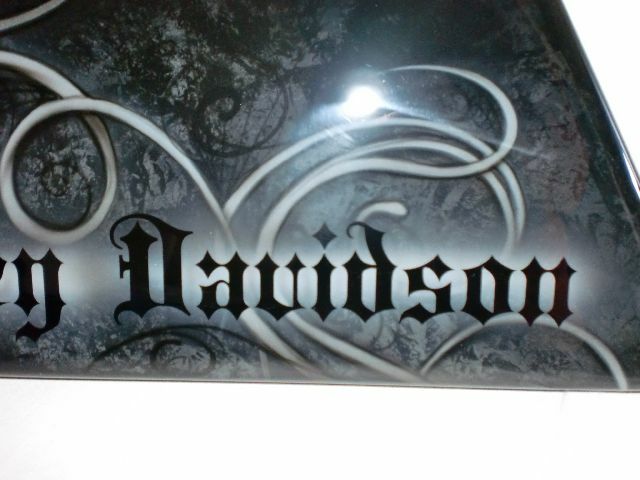 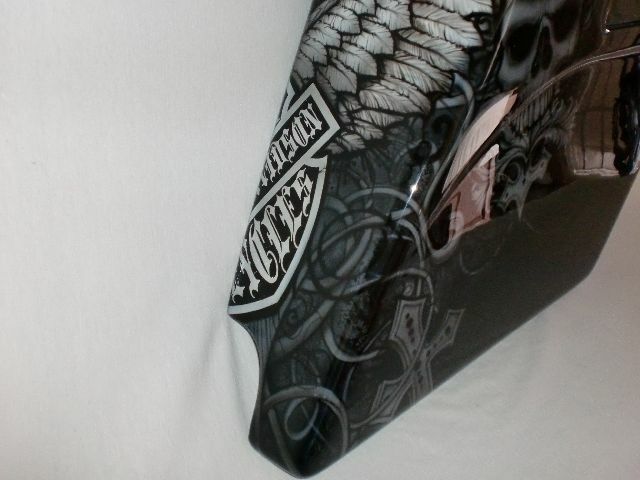 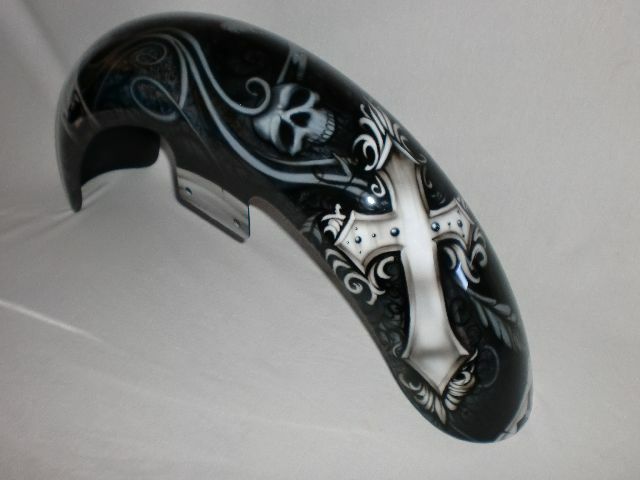 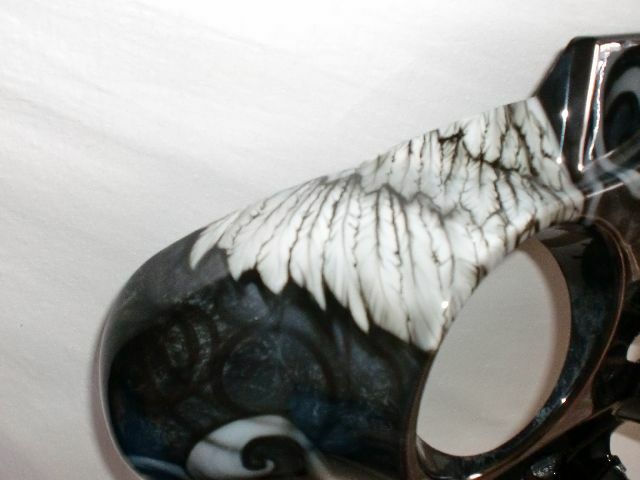 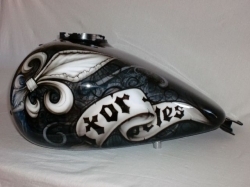 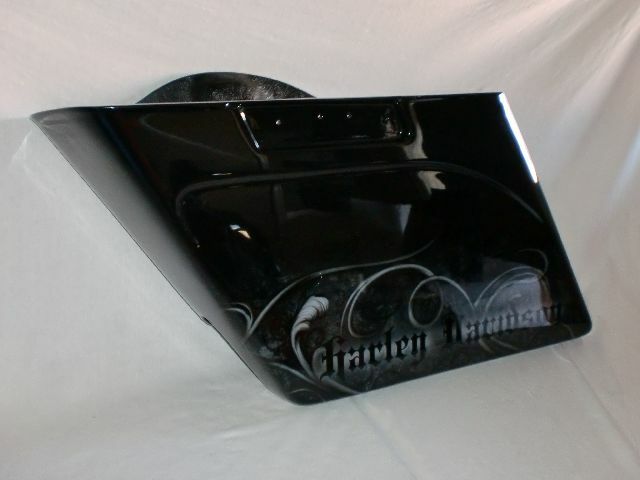 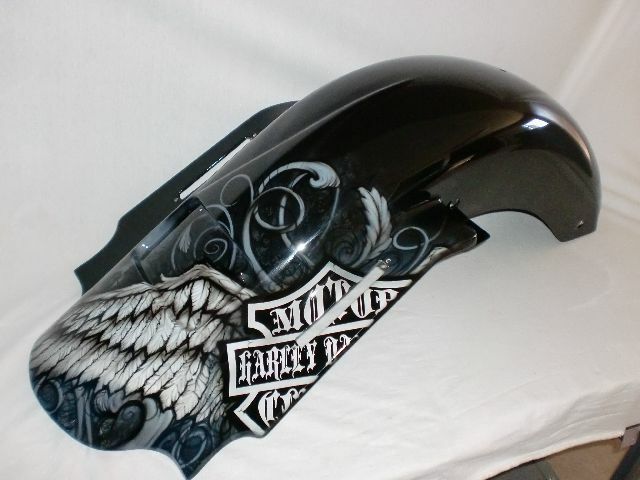 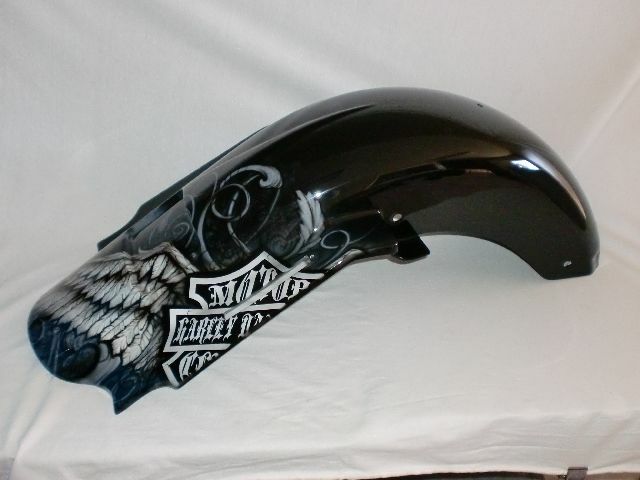 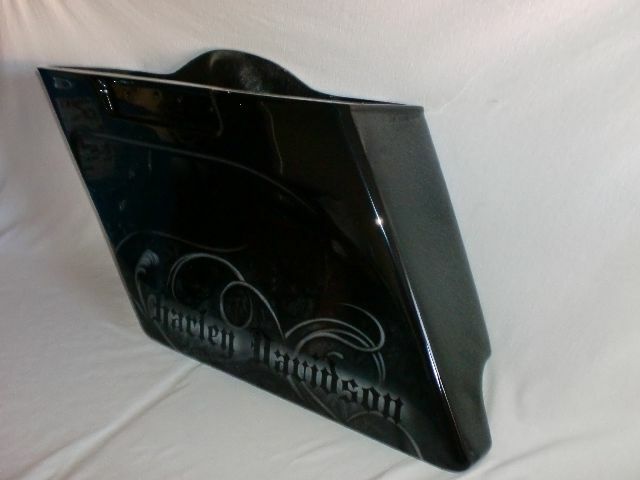 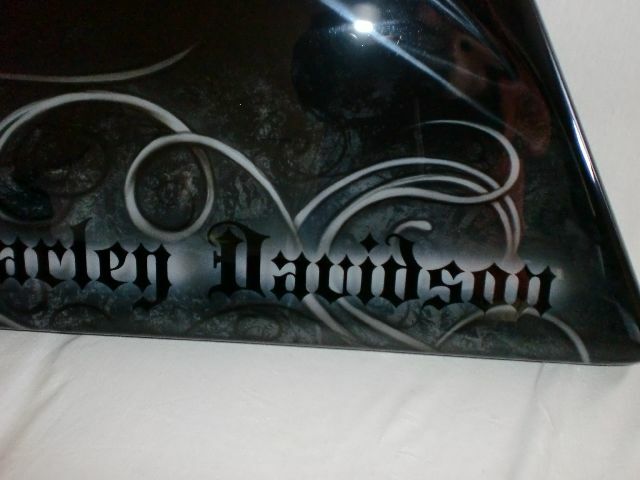 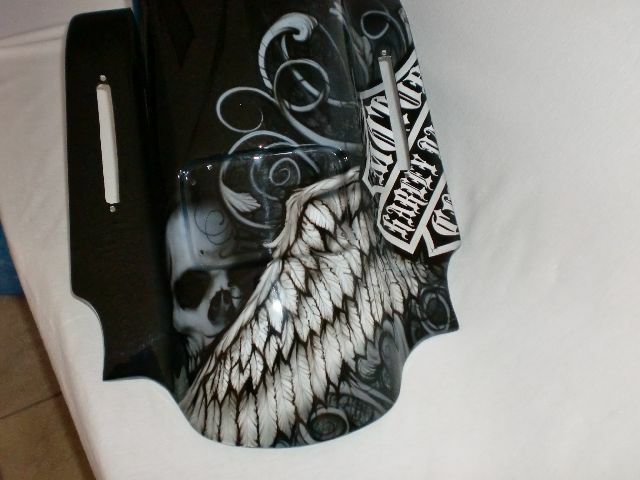 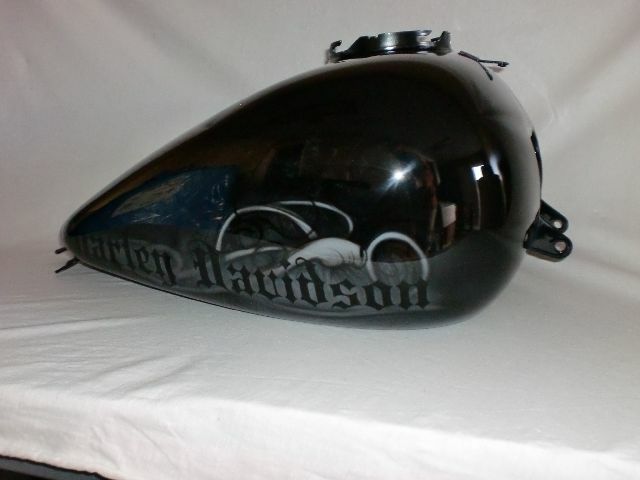 Extensive non symmetrical airbrushing covers these parts while contributing to Harley Davidsons history, displaying bar and shield logo, eagle, Harley Davidson Motorcycle Est. 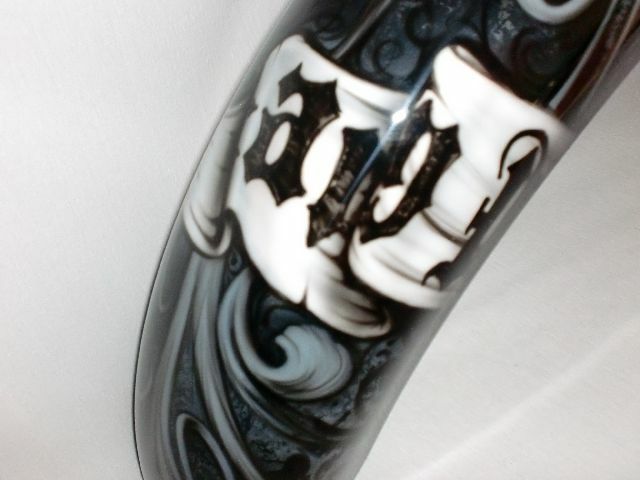 1903 written in scroll through ribbons. 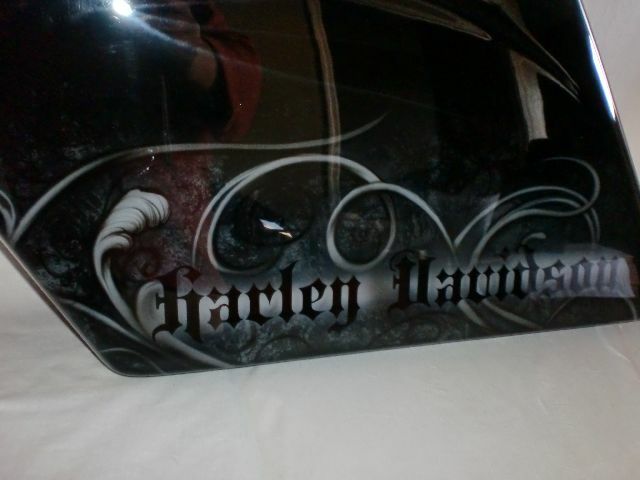 This bike is a tribute of Harley Davidsons Est. 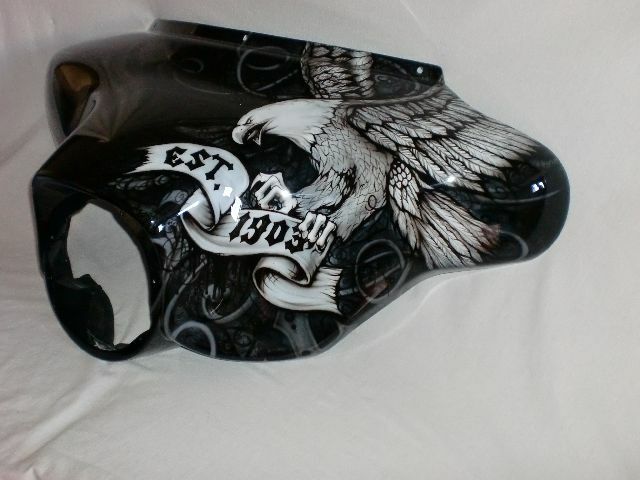 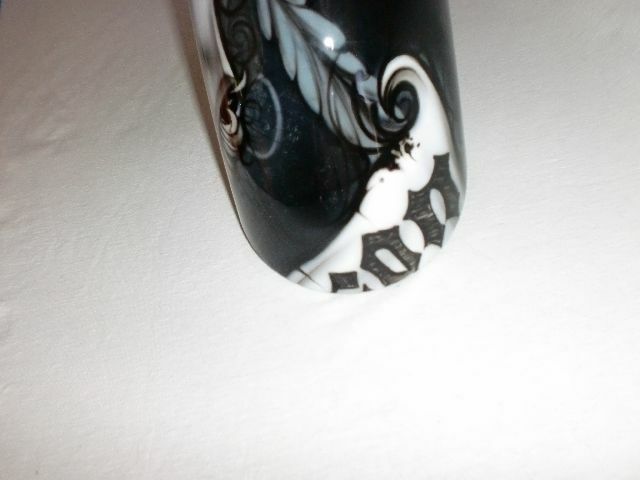 since 1903, but this particular paint scheme can be turned into a tribute of your choice. 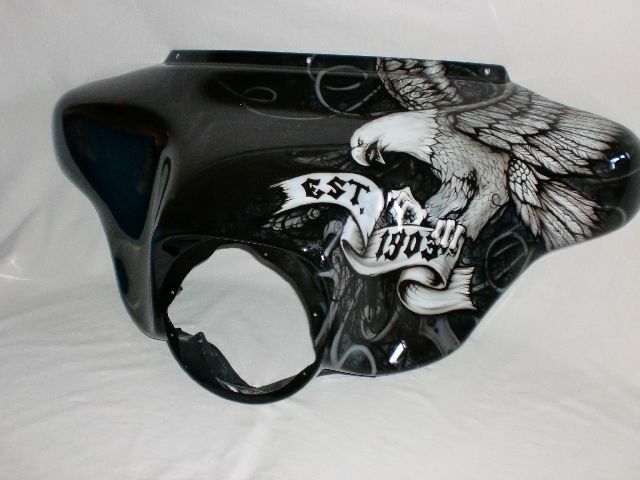 Call today to discuss your ideas.